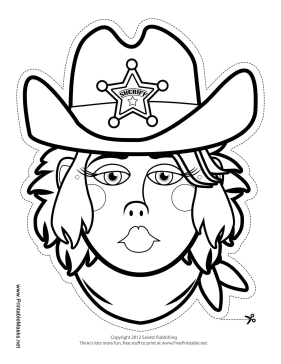 Color in this female sheriff costume before you saddle up your pony. Her bandana, hat, and badge all help her catch bad guys out in the old West. This mask is free to download and print.